Marlon Gobel was clear about his intentions: deliver a collection that was inspired by those that helped to build this city. Set at that Armory on Park Avenue, spring was sharp, boasted bits of vibrant color and fulfilled a spectrum of buttoned up attire to dressed up casual pieces. 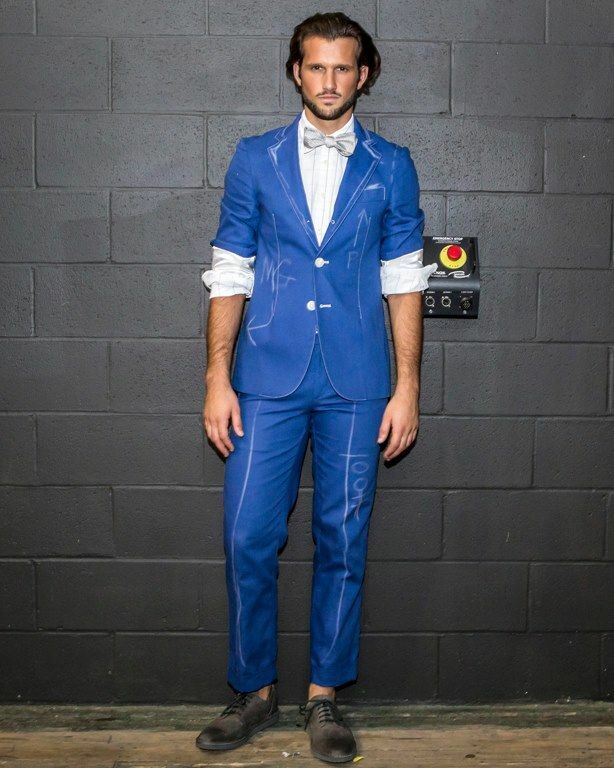 His first look was a fresh blue print cotton suit that was chalked up with production marking by him last minute for creative runway theatrics. Nonetheless, it was fresh for the season from style to composition. Standouts were the aeronylon blazers that came in blue steel, olive, fluorescent orange and yellow because men need more options for springtime fabrications and tones that usher in the season. 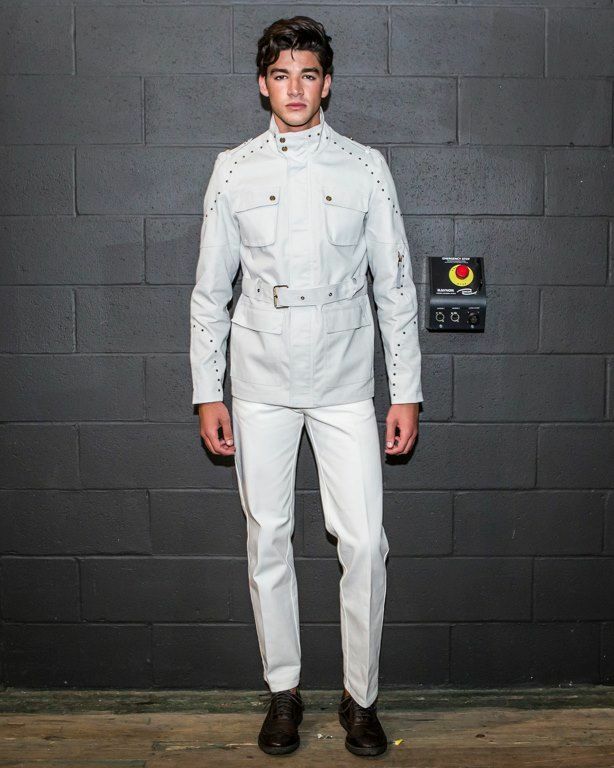 He also offered his take on the coveted moto jacket: a lazer cut white leather and suede combo with embellished details throughout. The safari jacket followed a similar suit. 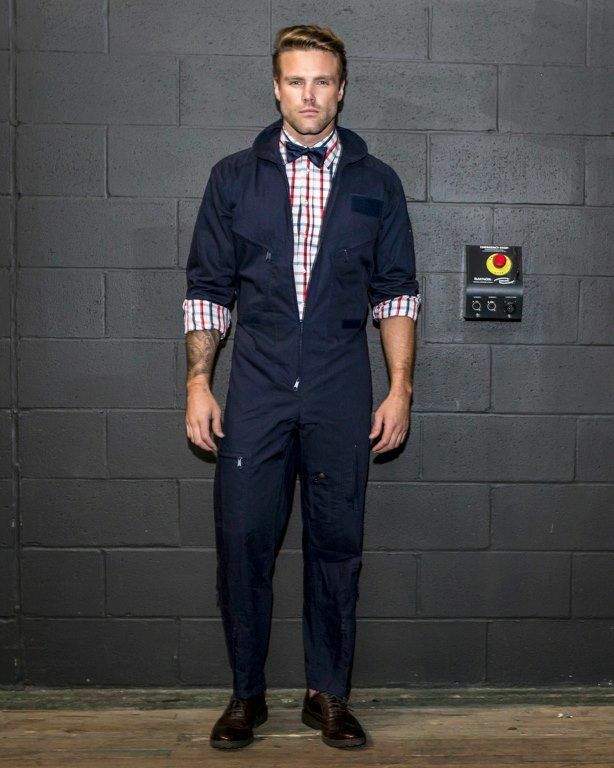 His workman's hooded coveralls in blue and khaki were styled with bow ties and plaid tops and showed how a basic can be elevated. Just as relaxed, dark denim pants and jeans were paired with dress shirts that could easily work with each other. Throw on a vest and one of his khaki or blue windbreaker jackets and you've got a perfect look that's not only crafted in New York, but carries an all-American attitude. Learn more about Marlon Gobel.